Open are donating the money we usually spend buying festive gifts for our lovely clients to Street Child for their Christmas appeal. 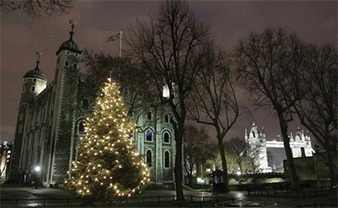 And to help you get into the Christmas spirit we’re giving you the chance to WIN two tickets for the Street Child Christmas Carol Concert at The Tower of London. Simply solve the festive puzzle in the above image and send your answer to info@open-associates.co.uk. Two runners up will receive their choice of artwork from limited edition designer print store onein100 which has some stunning original designs and artwork to choose from. Closing date for entries is midday on the 14th December and we’ll give the lucky winner the good news later the same day. Sing alongside the Choir of the Chapel’s Royal as they perform classic and timeless Christmas Carols at one of London’s most iconic landmarks. The evening will be filled with inspirational readings from special guests and – in true Christmas spirit – the service will be followed by mulled wine and mince pies for an enchanting evening of festivities. Street Child is a fantastic UK charity that aims to create educational opportunity for some of the world’s most vulnerable children. We share their belief that every child deserves the right to be empowered through education. And working in some of the poorest areas in the world, they strive to ensure that every child has the chance to go to school. Should you wish to donate or simply find out more about their work then please click here.